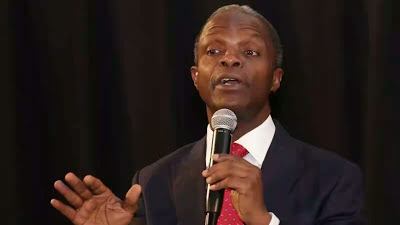 The Vice President, Prof. Yemi Osinbajo, on Thursday assured that the nation’s economic recession would not last. The vice president challenged the youths not to despair but to multitask in order to break even. He said there is no way Nigeria could have avoided the recession since it had in February this year lost 60 per cent of its revenue to the activities of saboteurs. Osinbajo also identified pipelines vandalism and errors of some past leaders as causes of Nigeria’s current economic situation. He urged young graduates to be diligent and take advantage of various international trading platforms to improve their status.